Styled with beneba skirt . 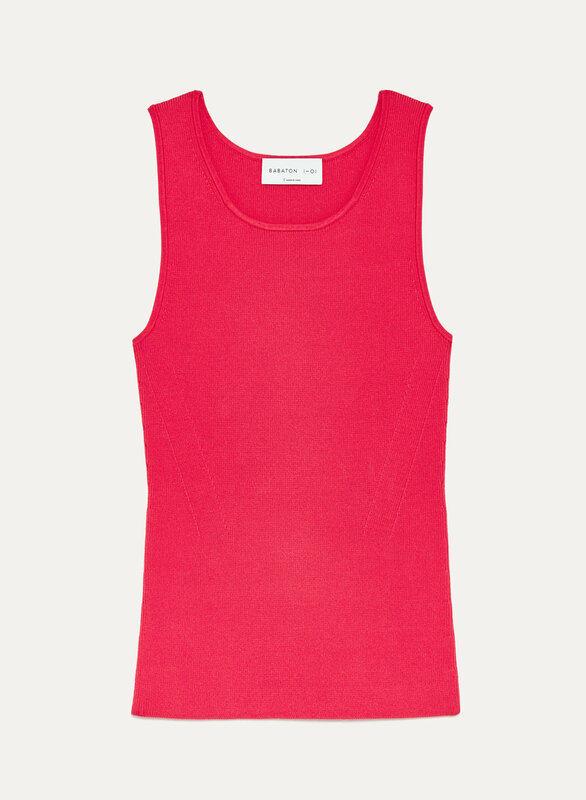 This tank is made from a spongey ribbed knit that's stretchy so it'll keep its shape. A contoured, flattering shape is created with strategic stitching along the sides — plus, the subtle racerback keeps the look modern.